This is a super cute way to let guests know where your bathroom is if you like to entertain. How cool it was. Make your family and friends smile! 3.Adhesive backed: durable and not easy to fade, easy to attach/adhere. 4.Suitable for accasion: Cute signs that fit well for home office shop bathrooms. Perfect size. Looks nice. Let clients know where the restroom is. There may be 1-2CM deviation due to the different measurement methods. Any problem please feel free to contact us first so that we can supply the best service for you.Thank you. Adhesive backed: durable and not easy to fade, easy to attach/adhere. Suitable for occasion: Cute signs that fit well for home office shop bathrooms. Perfect size. Looks nice. Let clients know where the restroom is. Also well for decoration. 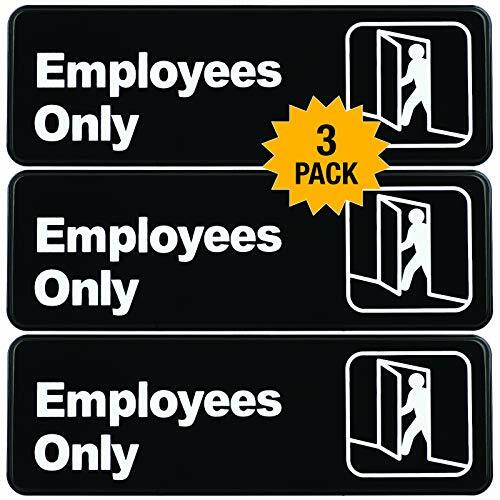 Set boundaries within your workplace with these "Employees Only" signages. This pack of 2 informative signs clearly indicates that certain areas are only accessible by an authorized personnel to control what goes on behind closed doors. These Signs will help direct and keep everyone in the right place. LONG-TERM USAGE: Made from lightweight and sturdy molded plastic material that is durable and withstands most environments, and will not fade in extreme temperatures. 8" x 12" Novelty signs sure to bring a smile. The cool retro look of a vintage a tin sign. Signs are digitally printed on high quality .040 Aluminum using UV resistant inks. 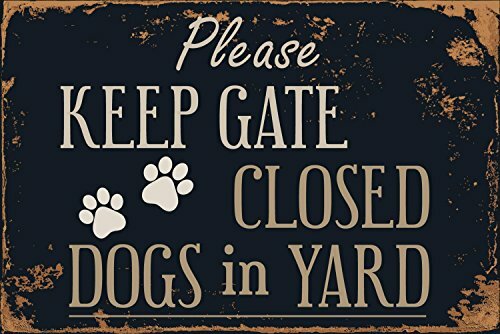 These signs are suitable for indoor or outdoor use. Include rounded corners and holes for mounting. 100% satisfaction guaranteed. If you have a problem let us know and we will make it right or refund you money. Remind your staff, employees, and visitors to maintain cleanliness and sanitation by washing their hands. 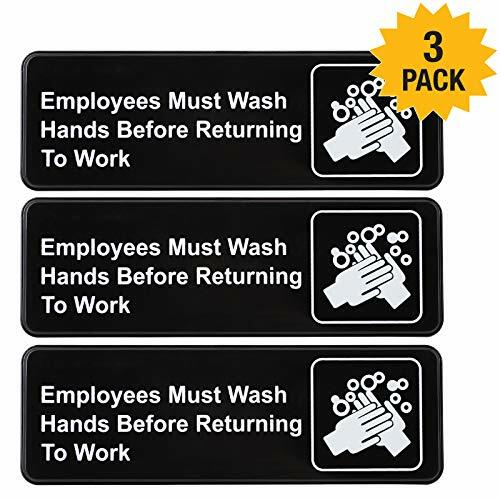 This pack of 3 safety signs is a helpful tool to remind everyone about the safety policy in order to protect the health and safety of your people and to avoid contamination especially in food preparation areas. These signs come in a pack of 3 and best used in commercial environments where cleanliness is a must. USEFUL SIGN: This "Employees Must Wash Hands" label is an effective message to remind everyone about the safety policy and compliance to prevent spreading germs in your place of business. 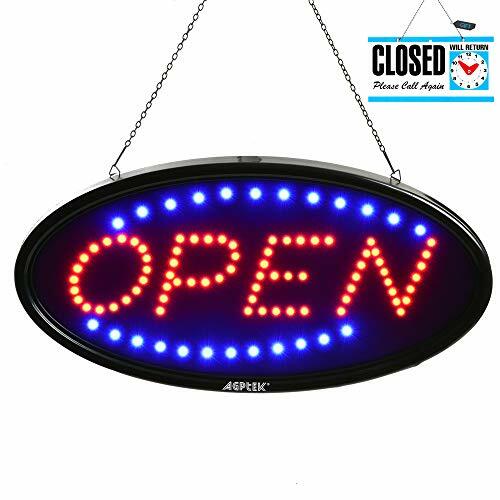 Eagle Open/Closed plastic door sign is a double-sided Open/Closed sign, made of durable plastic and can be hung using chain. "OPEN" in bold capital letters fill up the whole space on one side, and "CLOSE" bold capital letters with a clock on the other side. And the hands of the clock can be adjusted to set return time. The dimension of this sign is 6 inches x 11.5 inches. Kindly reminder: Products sold by TYI (brand owner) are exactly as showed in the pictures, including colors and characters. It might be counterfeited if you receive a different item. BAZIC 9" X 12" FOR SALE SIGN (2-LINE) (S-2). Perfect for those looking to sell their car or other vehicles. 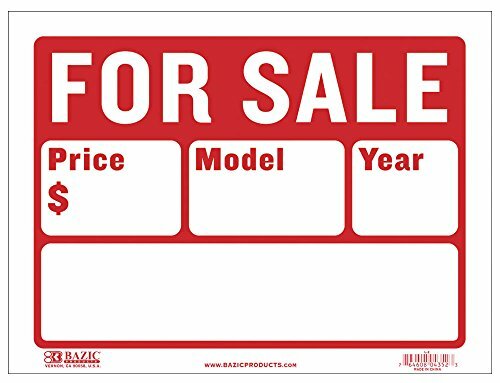 This For Sale Sign is made with bendable plastic that's easy to fit onto car windows. BECOME YOUR OWN CAR SALESMAN. Each design has the price, model, year, and space for extra information. Big enough for easy to read descriptions, so that your sign gets noticed and your car gets sold. Design promotes high visibility from a distance. Made of durable, tear-resistant plastic. Graphics glow in the dark for added safety. Frame Color: Red, Size: 8 x 12, Message(s): Exit, Material(s): Durable Plastic. Design promotes high visibility from a distance. Made of durable, tear-resistant plastic. Graphics glow in the dark for added safety. NEW & IMPROVED AS OF JANUARY 24, 2018. We are now using heavier grade wood and 3 top hinges. ATTRACT CUSTOMERS : LED Open Signs are ultra bright and striking. Open sign board would attract lots of passerby's' attention! 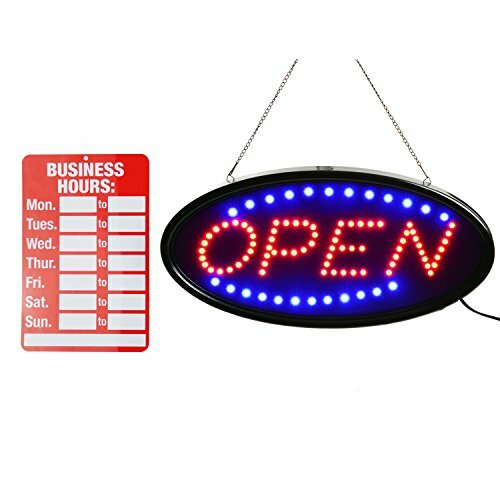 Outshine your competitors with this lighted board and get new and returning shoppers flocking to your business.Perfect for use inside bar, restaurant, caf , salon, florist, displaying window and any stores and shops that are OPEN and welcomes sale. 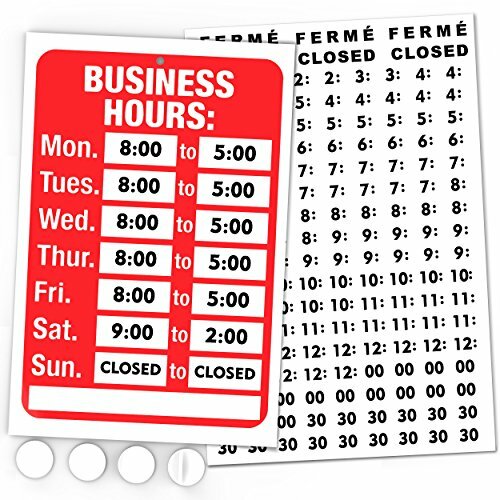 CUSTOMERS AWARENESS: Come along with Business Hours sign.This Business Hours sign is highly visible and customers arriving at your storefront will be informed of your open hours. EASY TO USE: No complicated set up or installation. Just affix the hanging chain, plug in the power cord, and press the power switch to immediately brighten up your storefront window with your new, dazzling sign. Indoor use only. TWO LIGHT MODES: LED Open sign board has Flashing or Steady light to meet different needs. Switch between two different modes, static or blinking, to attract all kinds of clients, in day or night. 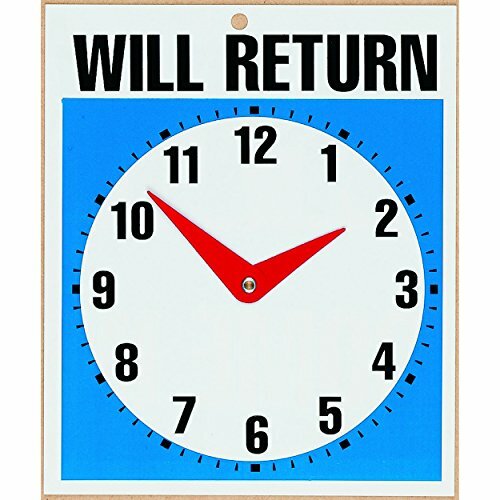 4.Suitable for accasion: Cute signs that fit well for home office shop church school Early Childhood Center bathrooms. Perfect size. Looks nice. Let clients know where the restroom is. Suitable for occasion: Cute signs that fit well for home office shop church school Early Childhood Center bathrooms. Perfect size. Looks nice. Let clients know where the restroom is. Also well for decoration. 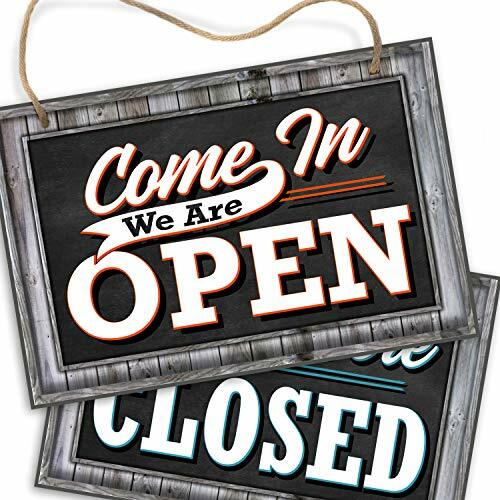 Let your customers know you're open for business with one side and simply flip over to let them know you're currently closed. Add functional and useful charm to your business door or window. 1/4" thick commercial grade PVC material is great for indoor or outdoor use. Weather tested wood alternative stands up to wear and tear. 12 inches wide x 8 inches high, visible from a street yet won't overpower your door! Perfect touch for a personalized look that seems like a decoration! Rich red and blue colors and saturated black printing gives high contrast to be sure your signs decor is seen. Country Barn Wood look (printed design) adds a welcoming country, shabby chic barn style touch to any atmosphere! Pre-drilled holes with attached rope makes hanging your sturdy sign on any nail or hook super fast & easy! 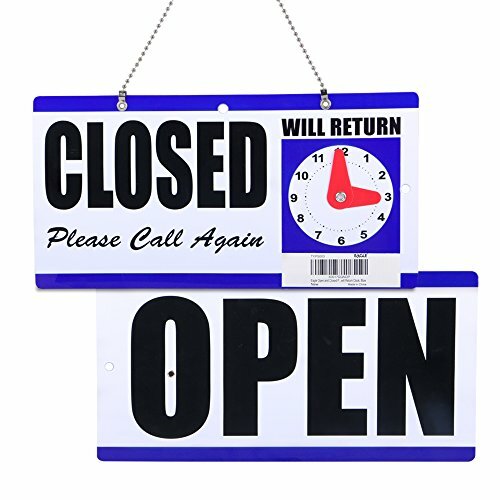 OPEN CLOSED SIGN: Let your customers know you're open for business with one side and simply flip over to let them know you're currently closed. Add functional and useful charm to your business door or window. RIGID, STRONG, DURABLE PVC: 1/4 thick commercial grade PVC material is great for indoor or outdoor use. Weather tested wood alternative stands up to wear and tear. PERFECT SIZE: 12 inches wide x 8 inches high, visible from a street yet won't overpower your door! Perfect touch for a personalized look that seems like a decoration! BRIGHT, VIBRANT PRINTING: Rich red and blue colors and saturated black printing gives high contrast to be sure your signs decor is seen. Country Barn Wood look (printed design) adds a welcoming country, shabby chic barn style touch to any atmosphere! EASY TO INSTALL, MADE IN THE USA: Pre-drilled holes with attached rope makes hanging your sturdy sign on any nail or hook super fast & easy! Are you looking for a way to set the bathroom in your office apart from other rooms and doors? 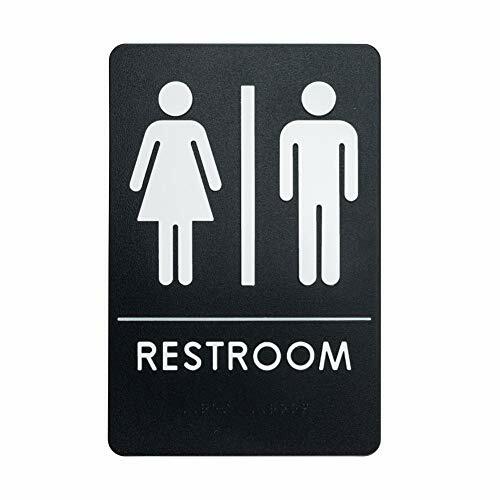 The Rock RidgeTM unisex bathroom sign is perfect for the demarcation that you plan on doing. 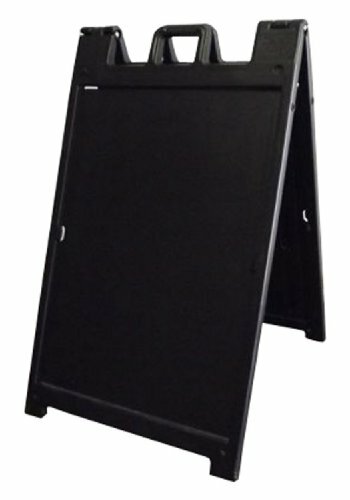 This plastic, black sign is great to help direct all of your employees, guests, and patrons to the proper facilities. Our sign should be used for unisex bathrooms. 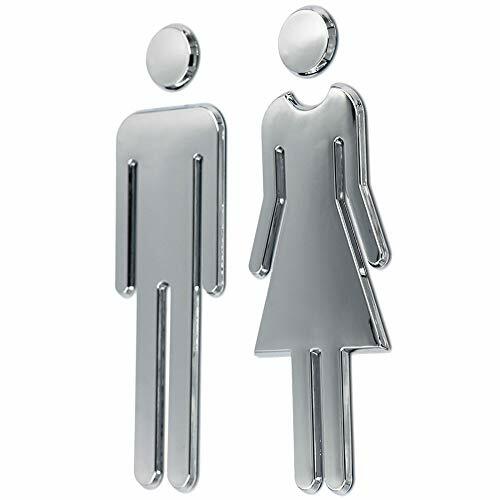 Avoid adding any confusion or chaos to the office and use the Rock RidgeTM bathroom signs for your business space. Our bathroom decor signs are so easy to mount. We include some double-sided foam tape that bonds securely with your sign and the mounting surface. Please note that the mounting tape may not hold as strongly on porous or rough surfaces. You could also use velcro on these signs for easy removal or for rooms that change frequently. For permanent sign installation, consider using screws. While our signs don't have screw holes, you can easily drill into the sign for mounting with screws. 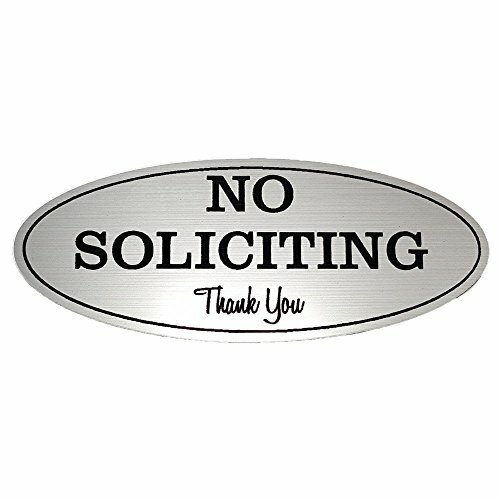 3M clear tape is perfect for hanging this sign on windows or glass doors. You could also use 3M Command picture hanging strips to hang our bathroom sign. However you choose to hang this sign, you won't be disappointed with its high-quality nature. On top of providing you with installation methods, we also made sure that this sign is compliant with ADA standards as we understand them. 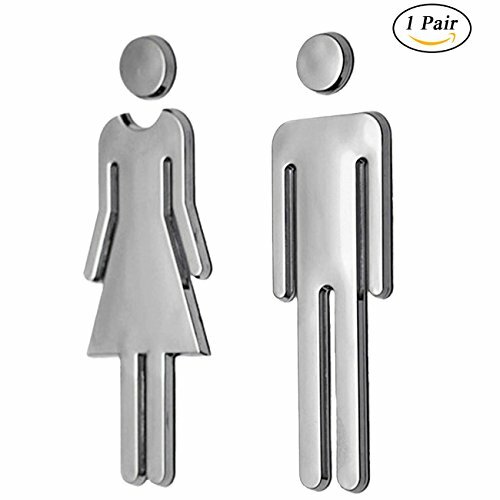 This ADA restroom sign should be installed on the wall that is adjacent to the side of the door with the handle or latch. The sign needs to be hung up high enough to have 60 inches between the finish of the floor and the centerline of the sign. The ADA sign is 9 inches long and 6 inches wide. Headline's Self-Stick signs are great for doors and windows. 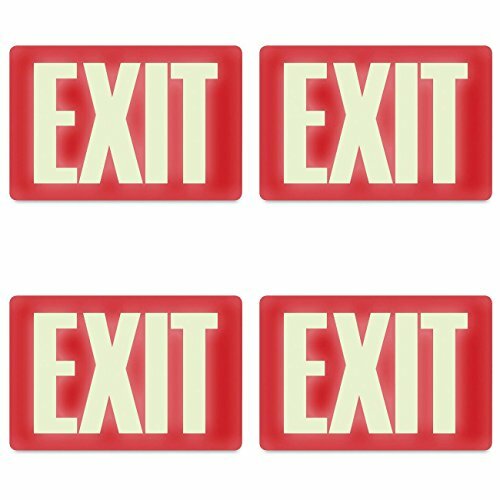 These 2 inch x 8 inch signs are made from durable Mylar material and easy to display -just peel and stick. 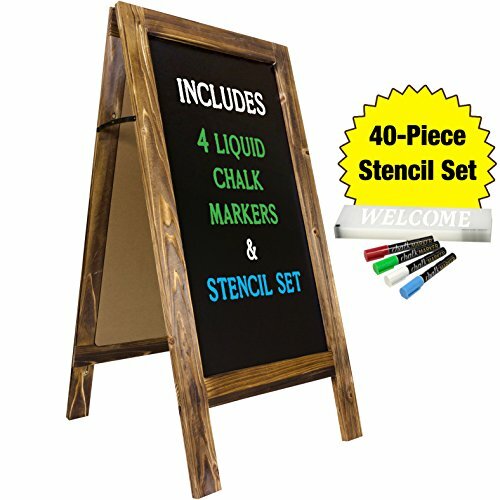 Make a great first impression with Headline Signs!